With vivid memories of the havoc wreaked just over a year ago, Typhoon Hagupit struck the Philippines in 2014. While Hagupit roared in from the Pacific as a Category 3 typhoon, it did not prove as deadly as Haiyan. The two years after Typhoon Hagupit brought with them additional storms. Typhoon Koppu in 2015 and Typhoon Haima in 2016. Save the Children responded to all four typhoons, supporting the rebuilding of homes and livelihoods of over 1 million people, including 826,000 children. While the slow moving typhoon strengthened to category 5 status on Wednesday, with sustained winds of up to about 180 miles per hour, current modelling has the storm making landfall as a category 4 typhoon on Saturday morning. Super Typhoon Mangkhut looks set to pummel coastal communities in the Filipino island of Luzon, the country’s most populous island and home nation’s capitol of Manila. In 2016, Typhoon Haima weakened from a category 5 storm to category 4 just before making landfall, tens of thousands of homes and displacing more than 90,000 people in Luzon. Heavy rains, flooding and landslides could put million of already vulnerable children at risk. Save the Children has emergency team deployed to Santiago, Luzon with pre-position relief items positioned across the country, including thousands of household, hygiene and back-to-school kits. When I arrived in Puerto Rico, I didn’t know what to expect. Almost a year after Hurricane Maria, I wondered what I would see. Would my mother’s beloved island still show the scars of the devastation that roared upon its shores on September 20, 2017? What about the children? What I saw was heartbreaking and hopeful at the same time. The physical signs of Hurricane Maria were everywhere. I kept telling my non-Puerto Rico based colleagues that the island didn’t look like this before the storm. Everywhere were the markers of what were once family homes and local businesses, now in ruins. One girl I spoke with told me the hurricane blew the roof off her home. What was equally traumatic for her family was finding the remnants of other people’s lives that the storm had blown into their house, things like shoes and other personal items. While many of the children and families that I spoke with painted a picture of loss, our conversations also turned hopeful. Communities like Fronton and Mulitas were coming together to support one another, especially the children. An abandoned basketball court is now a beautiful community center. It’s a place where children can play in a safe, protected environment, make up for lost school days, and heal from the trauma of loss and fear caused by the storm. One young boy told me he was afraid and angry after the hurricane but now he feels protected after participating in our Journey of Hope program. Families told me how much the programs meant to them, but until I saw our community activities in action, I had no idea. I wish every Save the Children supporter could see the joy on the children’s faces. Even those kids that had started the day a bit sullen were soon laughing and playing. Almost one year after Hurricane Maria, there is still so much need on the island. It took 10 months for the community of Mariana to get electricity. 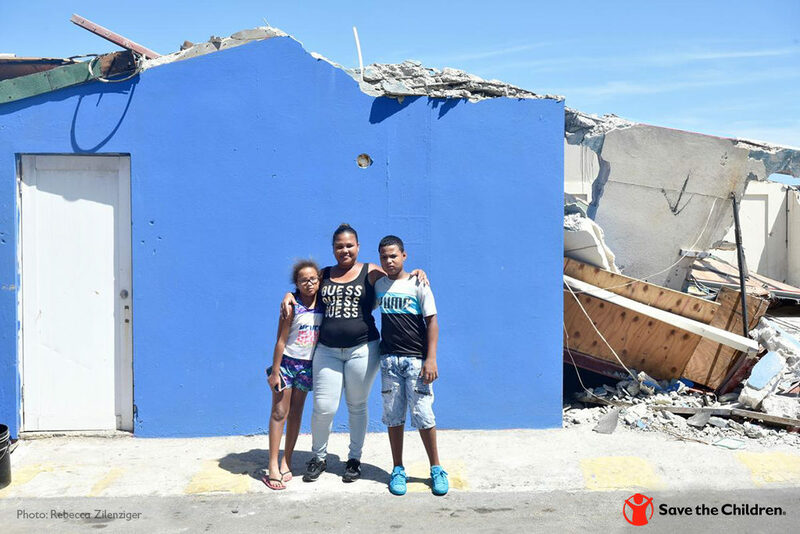 But Puerto Ricans are resilient and with help and the continued dedication of Save the Children staff, local leaders, parents and supporters – Puerto Rico si se levanta (Puerto Rico will rise up). 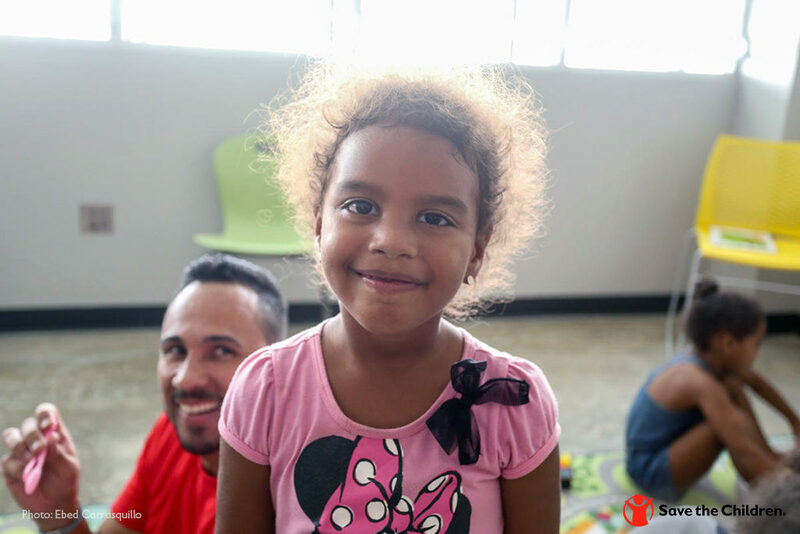 To learn more about Save the Children’s emergency responses and ongoing recovery work in Puerto Rico, visit our website. 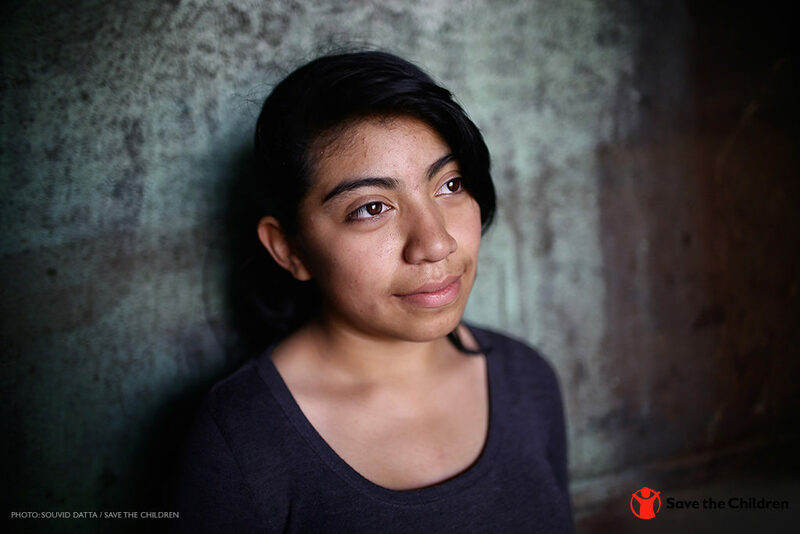 YOUR SUPPORT CAN MAKE THE DIFFERENCE FOR CHILDREN AND FAMILIES IN NEED. MAKE A DONATION TO THE CHILDREN’S EMERGENCY FUND TODAY! Soon after Harvey hit, a pair of Category 4 hurricanes emerged from the Atlantic. After tearing its way across a string of Caribbean islands and up through Florida, Hurricane Irma left behind a trail of devastation – with more than 4 million children at risk.2 Families were left without power and without access to clean water. Many were coping with the loss of homes while damage to schools and child care programs left children out of school. A family in the La Perla neighborhood, just outside the walls of Old San Juan, Puerto Rico, are coping with the realities of life and loss after Hurricane Maria. 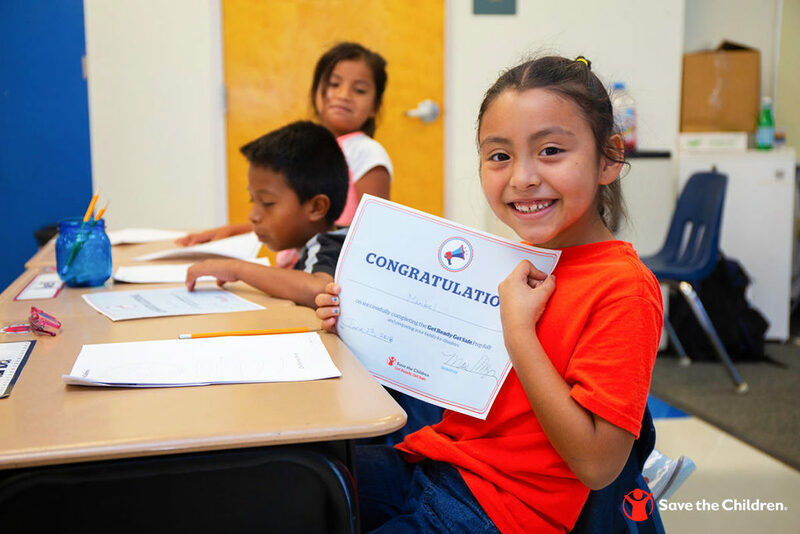 Save the Children has been on the ground in Texas, Florida and Puerto Rico since early days of the response and is committed to helping children and families recover through restoration of early education services, social emotional support and emergency preparedness programming. 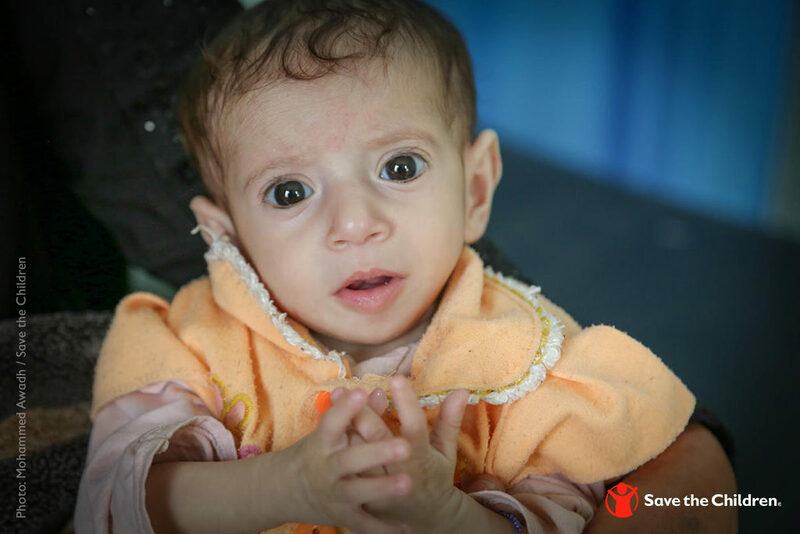 We are committed to preparing and protecting the most vulnerable among us during disaster – children – through effective preparedness, response and recovery. 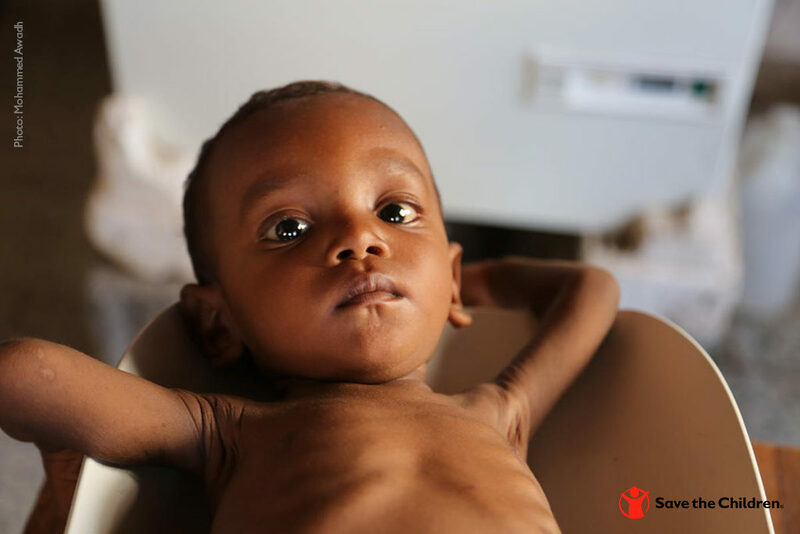 In an era when disasters are growing in frequency and impact4, we must be at the ready to meet the specific needs of children and families when the next disaster strikes. Save the Children knows that children are most vulnerable in disasters, with unique needs that require specific and purposeful planning to keep them from harm.5 But how do you prepare for a hurricane? Being aware of where evacuation routes are and staying informed about weather conditions can save lives. Additionally, it’s important to develop a family plan that details where emergency shelters are located, how to get to your meet-up location if your family is separated and who to designate as your family contact person can help you stay all safe. 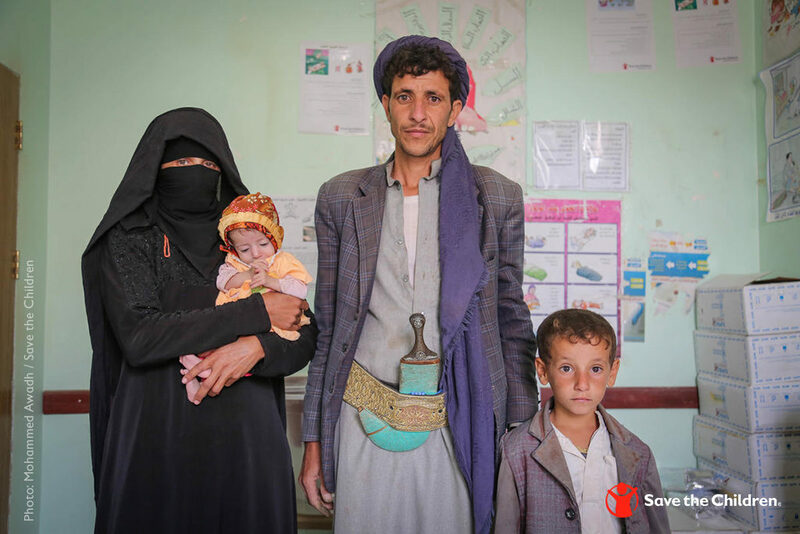 More tips, including how to develop a family communication strategy are outlined in Save the Children’s Disaster Checklist for Parents. Disasters like Hurricane Harvey, Hurricane Irma and Hurricane Maria don’t simply destroy homes, they can devastate entire communities. Flood-damaged schools are rendered unsafe for children, businesses face foreclosures, and healthcare services may disappear. Contaminated water and air pollution lay the foundation for chronic disease. 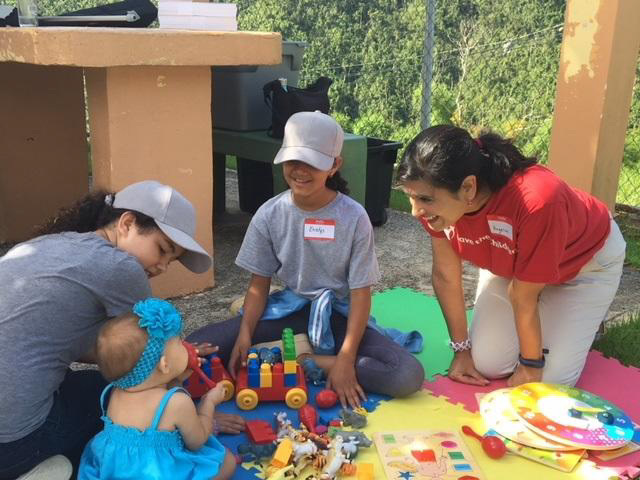 In the earliest days of the crisis, we deployed our child-friendly spaces program to provide safe and protective play areas for children at seven evacuation shelters throughout Texas, Florida and Puerto Rico. In coordination with partners, we distributed tens of thousands of infant, toddler, and child-centric materials, including portable cribs, hygiene kits, strollers, diapers, infant wash basins, and more. We’re continuing to provide emotional support to children dealing with stress and uncertainty. Plus, our education teams are working with local partners to restore programs and help ensure that children have access to learning. Inside the safety of the Child Friendly Space, children have an opportunity to read, play and begin to recover from the trauma they have experienced as a result of Hurricane Maria. 2017 was an unprecedented year for hurricanes in America. 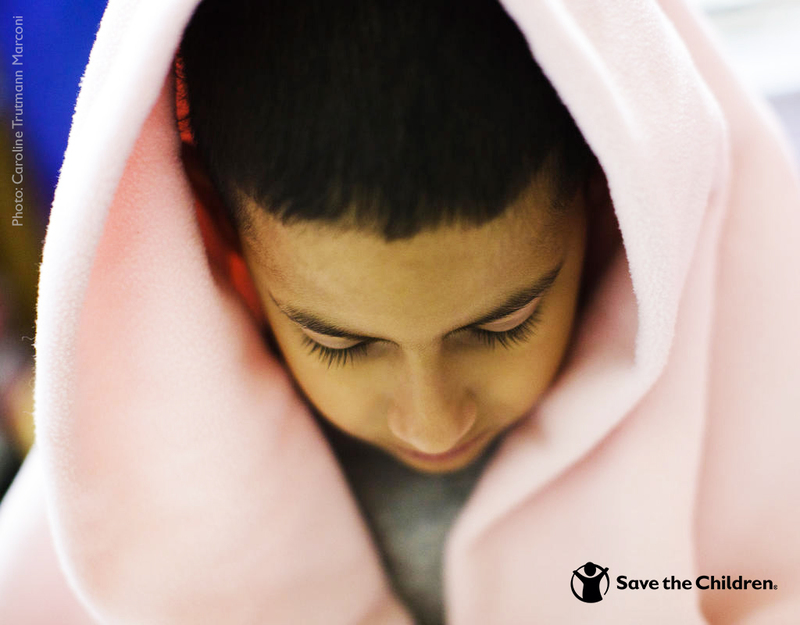 Save the Children is committed to the victims of Hurricanes Harvey, Hurricane Irma and Hurricane Maria and our Texas, Florida and Puerto Rico teams will continue to support recovery efforts in all three areas through 2019 at a minimum. In addition to building back better and increasing educational opportunities for children, Save the Children continues to offer our Journey of Hope resilience program for children, parents and caregivers as well as leading preparedness programs to help children, schools and communities better prepare for the next disaster. YOUR SUPPORT CAN MAKE THE DIFFERENCE. MAKE A DONATION TODAY TO SUPPORT OUR CHILDREN’S EMERGENCY RELIEF FUND. Can the Natural Curiosity of Children Help Build Community Emergency Preparedness? “Kids love to learn,” says Save the Children’s Sarah Thompson, Director of U.S. Emergencies. “They love to bring home what they learn.” That can make children great safety and preparedness advocates if they are introduced to emergency preparedness exercises and information. “Part of what makes kids unique is actually what makes them the most powerful. As the start of hurricane season surrounds us, Thompson’s words, as captured in a recent FEMA PrepTalk, “Youth: The Key to Building a Culture of Preparedness,” highlight how children are great mobilizers, actors, and connectors within their communities for building a culture of preparedness. Currently, less than half of American families have an emergency plan, leaving children vulnerable when disaster strikes. Through youth preparedness education programs, children learn about how to develop an emergency plan, including how to ensemble an emergency go-to bag, and what their school’s evacuation plan is in an emergency. These exercises can help reduce the perceived fear surrounding emergencies because it gives them more understanding and control. Save the Children’s Prep Rally is an emergency preparedness program for children grades K-5. 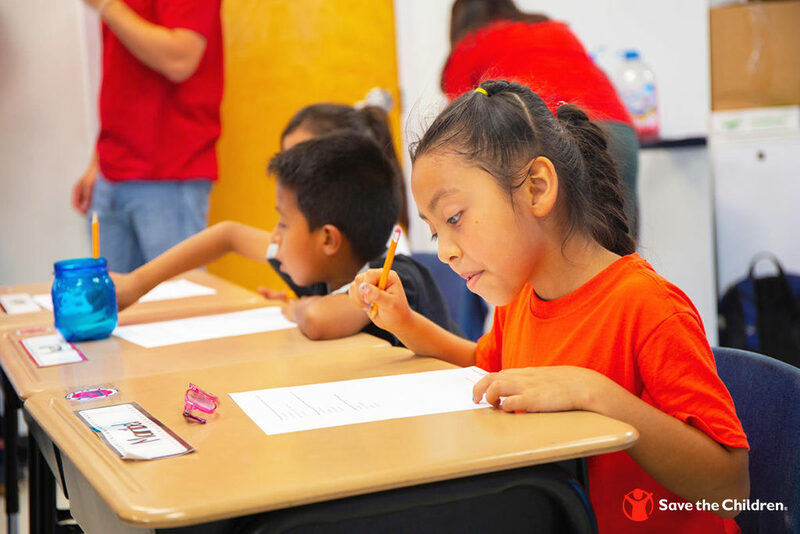 Maribel fills out a short quiz before participating in a Prep Rally at her summer camp program in Florida. Save the Children’s Prep Rally provide a fun ways for kids to participate in disaster preparedness. Save the Children also launched a partnership with the National Center for Disaster Preparedness at Columbia University’s Earth Institute to raise the visibility and inclusion of child-serving institutions like summer camps, public, private and charter schools, foster care agencies and, of course, early childhood programs, in community-wide emergency planning. This work has culminated in the launch of the Resilient Children Resilient Communities (RCRC) Toolbox, a set of resources designed to help communities plan for and better protect their youngest residents. Children’s books provide a valuable resource as well, as kids can learn about and prepare for disasters through reading. For example, Clifford and the Big Storm by Norman Bridwell is a children’s book that puts everyone’s favorite big, red dog in the path of a hurricane and at the ready to assist when disaster strikes. Save the Children’s Pep Rally Guide contains a list of additional children’s book titles about disasters that may can help build children’s resilience and ability to cope with crisis. Save the Children’s Prep Rally curriculum was awarded the 2017 FEMA Community Preparedness Award. 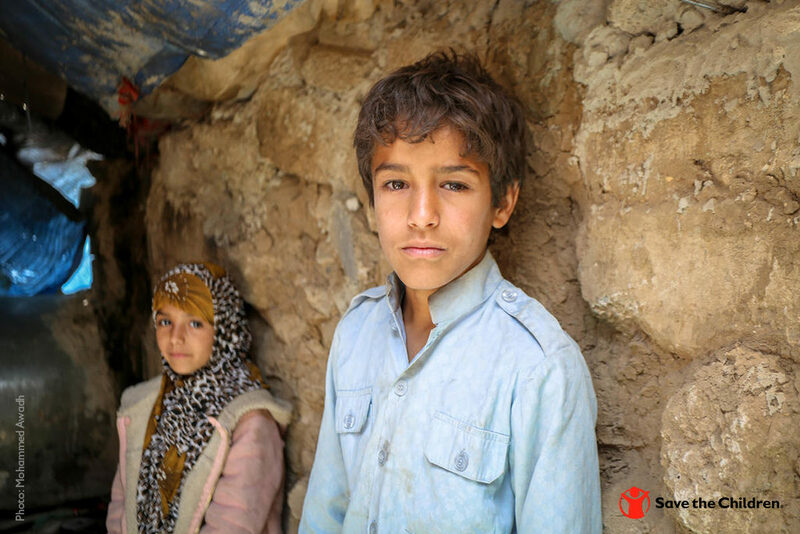 For more information about Save the Children’s Emergency Response programs, visit our website.